Though Rose Brier crossed the wire in front during Saturday's G3 Tropical Turf Handicap at Gulfstream Park West, the stewards disqualified him for interference in deep stretch, moving Aliyu Ben J Stables' homebred Lubash into the winner's circle for trainer Christophe Clement. The 9-year-old son of Freud was winning his first graded stake in two years, ridden by Joe Bravo for his 18th career win. Applicator jumped out of the starting gates on top, holding a one-length advantage over Rose Brier through early fractions of :23.68 and :48.46. Lubash, meanwhile, traveled near the rear of the field in seventh. Midway through the far turn, Rose Brier began encroaching on Applicator's lead to take command at the head of the lane, but Lubash was moving well to advance into fifth position. Rose Brier turned for home in front, but Lubash was unleashing a big rally down the center of the racetrack. Jockey Trevor McCarthy hit Rose Brier once left-handed and the horse darted to the right, immediately in the path of the oncoming Lubash. Bravo had to check sharply aboard Lubash, losing all of his momentum late in the race. A stewards' inquiry moved Rose Brier from first to second behind Lubash. Coalport finished third. Bred in New York by his owner, Lubash has won a number of stakes races in his career. The Tropical Turf is his first graded win since November of 2014, and improves the 9-year-old's overall record to 18-9-5 from 50 starts, with earnings of just under $1.5 million. 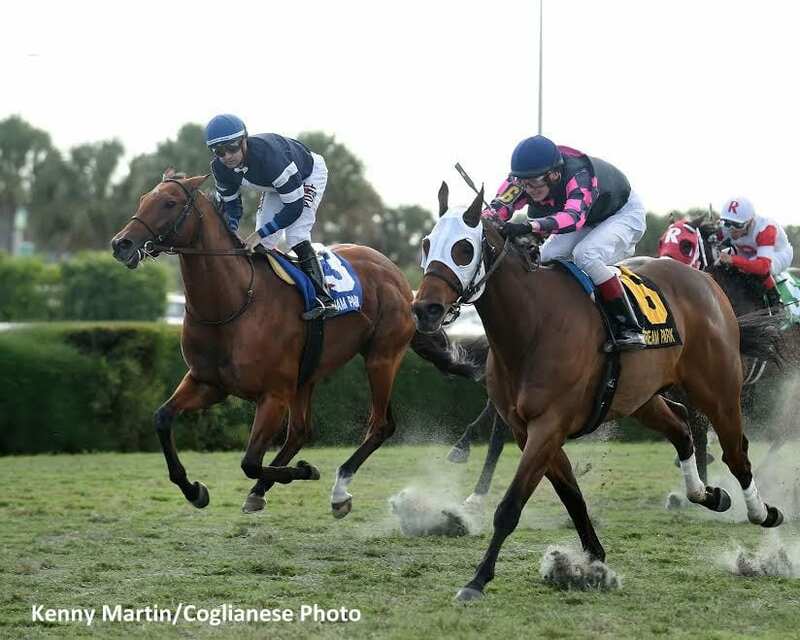 This entry was posted in Racing and tagged Christophe Clement, Freud, gulfstream park west, joe bravo, lubash, rose brier, Tropical Turf Handicap by Paulick Report Staff. Bookmark the permalink.